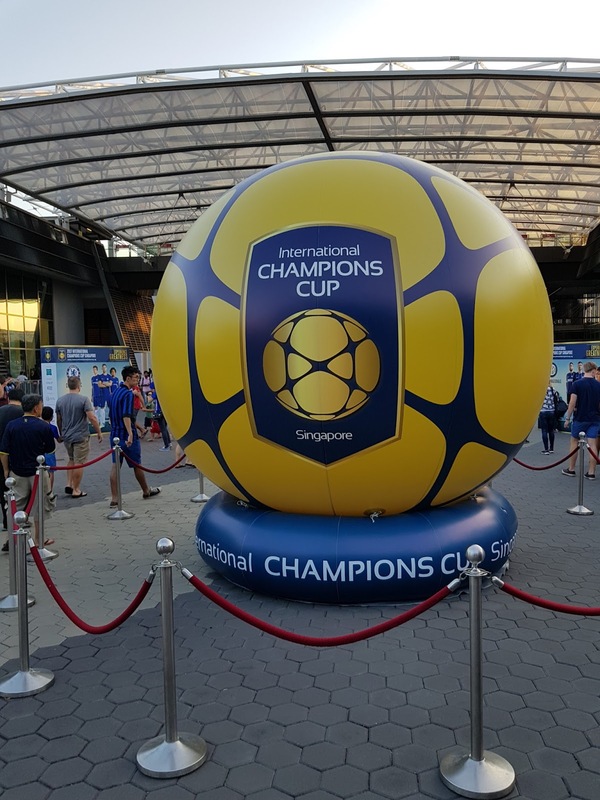 Once you exit Stadium MRT, you will see this and everyone (including KPO) will flock towards it trying to take a photo/selfie with this golden ball. This is the $188 view. 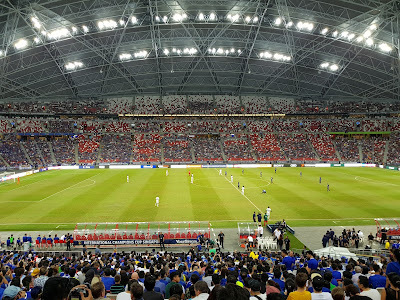 Got to admit that the atmosphere and feeling are very different as compared to watching the game at home. 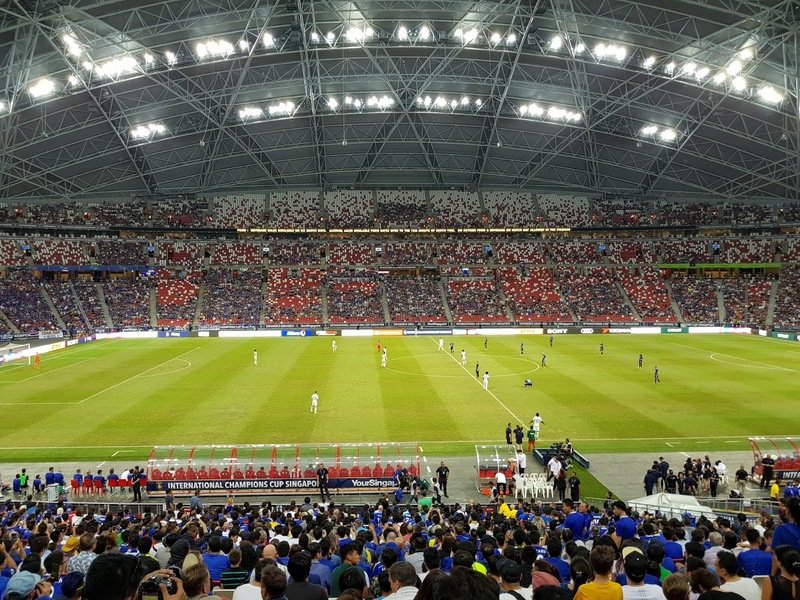 CZM WhatsApp me a photo of her TV broadcasting the match too with the caption "watching it for free". 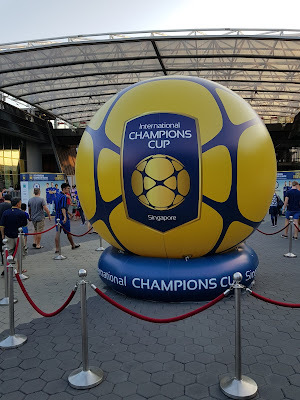 If you are wondering which team I was supporting, the answer is Inter Milan! The reason is not that Inter Milan was the winning team or I hate Chelsea, etc but because CZM bet with me that Chelsea will win. HAHAHAHA. 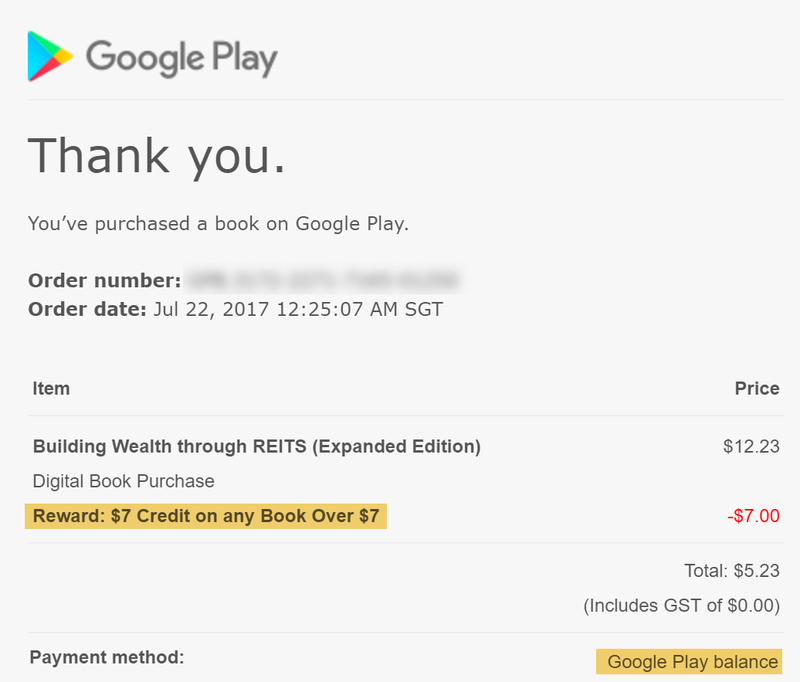 In my previous post, I shared how I bought the book for free using a $7 promotion and Google Opinion Rewards credits. KPO never like reading books since young but this is the 2nd book I have finished reading (CZM judges me for not finishing Harry Potter and the Philosopher's Stone). The 1st book was Rich Dad Poor Dad and I am still reading The Intelligent Investor. The author, Bobby Jayaraman brought up something that resonated with me - investing in actual property vs REITs. A lot of my friends still prefer buying a second property (condominium) as an investment (even CZM as well before she was pyscho/convince by me). I would then ask them this question - Buying a second property will get you in debt and the rental income is taxable by the government. On the other hand, dividends from stocks are not taxable in Singapore, so why would you want to be taxed by the government? Bobby (my temporary best friend) discussed this too. 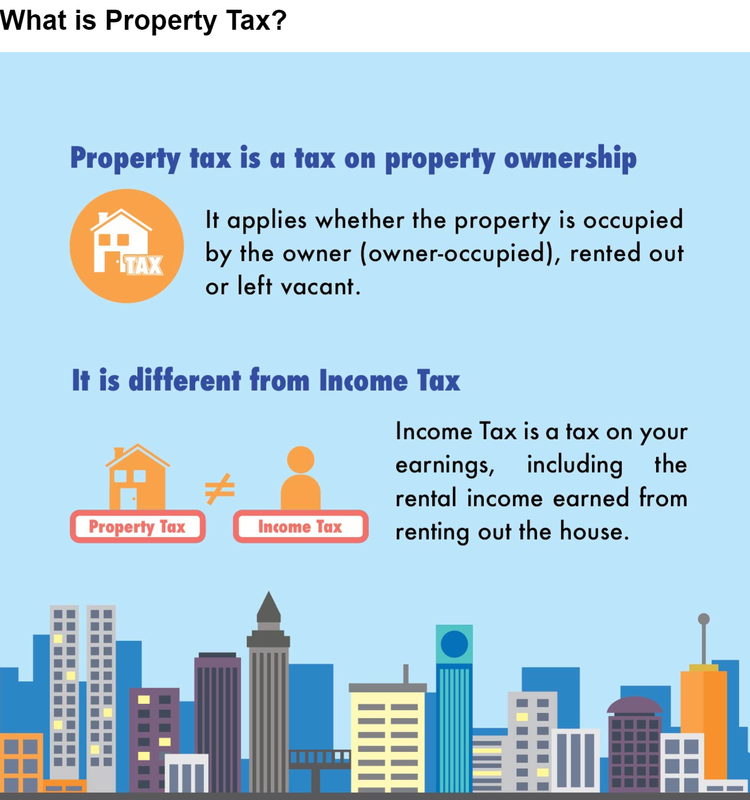 To be more specific, one would be liable for property tax at 10% - 20% of the value of the property + tax on rental income. Gone are the days where one can purchase a property and the price doubles/triples in a short period of time (our parents' generation where HDB cost $20,000 to $100,000). Some of the more ridiculous reasonings I hear is we are never getting back our CPF, hence getting a second property is the way to get the money out. I would then share some of my knowledge on CPF that its main purpose is for retirement. Whether we are able to meet the minimum sum, it is still our money but that is a discussion for another day. - REITs can have up to 35% and up to 60% gearing if they obtain a credit rating from one of the 3 major credit rating agencies. Note that this is no longer the case, MAS announced a new guideline on 2015 that REIT will have a single tier leverage limit of 45%. - REITs can develop property up to 10% of the total value of the properties. This has also been increased to 25% now. 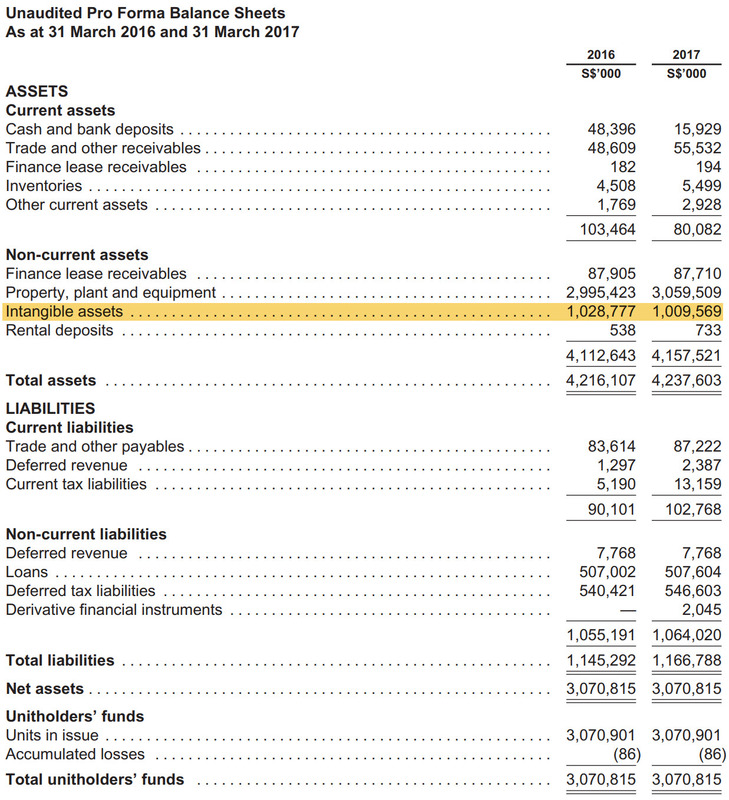 Some of the important numbers/metrics to look for include NPI (Net Property Income), property yield, interest cover, etc. 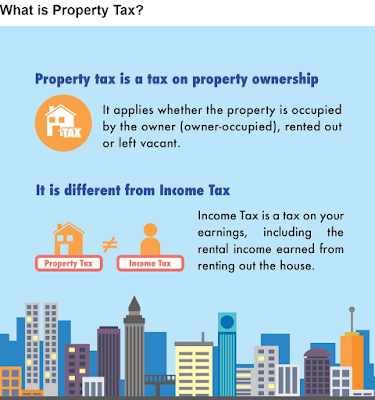 NPI is important because it can be used to value a property earnings power after deducting related expenses. NPI divided by the property value gives the property yield (not to be confused with dividend yield). In an ideal scenario, increasing NPI and DPU is the best. The book recommended that > 3x interest cover is preferred as it reflects the REIT's ability to service its debt. 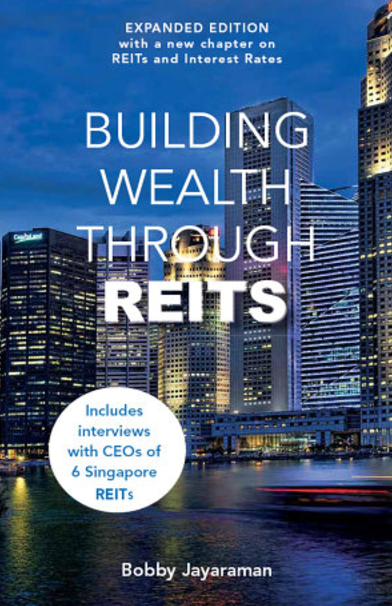 Last but not least, there is a huge section on the interviews with various REITs CEOs. 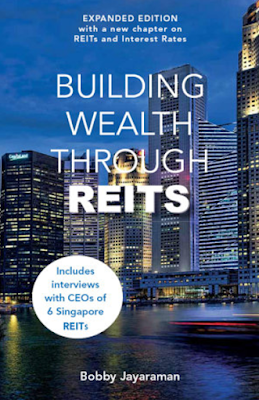 All in all, I feel that this will be an excellent introduction to REITs as an investment for new investors. If you are a KPO just like me who prefers not to spend any money, there are a lot of free resources out there on the Internet. A lot of what has been discussed in the book were not new to me. KPO previously introduced a way to earn Google Play credit through Google Opinion Rewards. Ever since then, I have been shopping in the Play Store every once in a while. Most of the time not buying anything, if only I can invest the credit. lol. Today, I came across an offer in the Books category! Although it states "Just for You" or me, I believe some if not all of you will have it too! Click on it and you will get the below T&Cs. You have until 30th September 2017 to redeem the offer! The promotion "$7 Credit on any Book Over $7" is just another marketing gimmick to make you spend money (the least you would have to pay is $0.01)! However, if you have been doing some surveys over the past few weeks, you would have accumulated a huge amount of Google Credit (I have > $10). So I went shopping for investment related book and finally decided to settle on one - "Building Wealth through REITS (Expanded Edition)". The reason why I chose this book is that the content/discussion is based on Singapore REITs. If you prefer the hard copy/physical book, you can purchase it in Kinokuniya for $23.54 ($21.19 if you are a member). The total cost of the book KPO got it for - $0.00! Haha. Another excellent book that I would like to recommend is "The Intelligent Investor". You can head over to missniao's article for a quick summary and a link to download the free 5th edition PDF book - Best $35 spent in my entire life – The Intelligent Investor. Let me know if you guys have the promotion too and which book did you purchase? I have a lot of Google Credit and dun know where to spend it. lol. There are a few blogs which I follow closely but there is only one which I have read every single post/article written - StockResearchAsia (KPO exaggerating...). They hardly post recommendation but if they do, it is almost a sure win. Their analysis is something which I can never do due to the time and effort required. 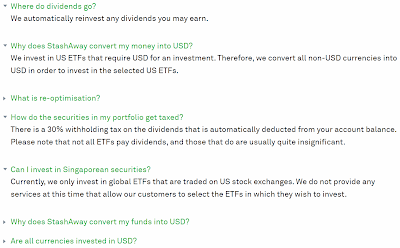 Interestingly, they also suggested one to adopt a passive investing style which is to buy a low-cost ETF using dollar cost averaging method (similar to Warren Buffett). The main difference between them and the bank analysts' recommendation/target price is stated in their disclaimer/important notice "We put money where our mouth is.". 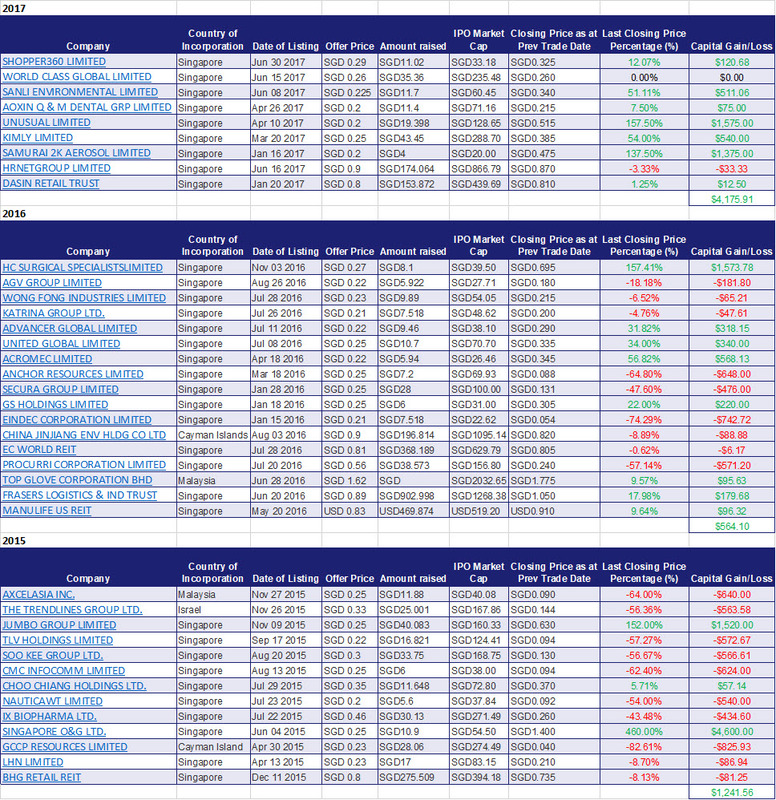 25/01/2016 - 2015- Our encouraging first year scorecardThe 6 recommendations made generated an average of 25.7% relative outperformance when compared against the indexes (STI/KLCI). 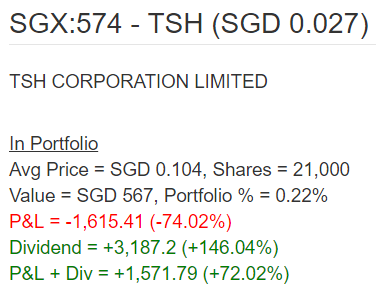 I bought TSH on 6th April 2016 and made a total of 72% return. Currently still holding on to the 21,000 shares and hoping for an RTO (Reverse Takeover)? lol. 13/06/2017 - HG Metal- Would renewed interest bring attention to fellow stockists as well? 17/07/2017 - OKP Holdings Ltd- Is the latest Tampines accident sounding of the death knell or a buying opportunity in disguise? As much as I wanted to follow their previous 2 recommendations, I was tight on cash. 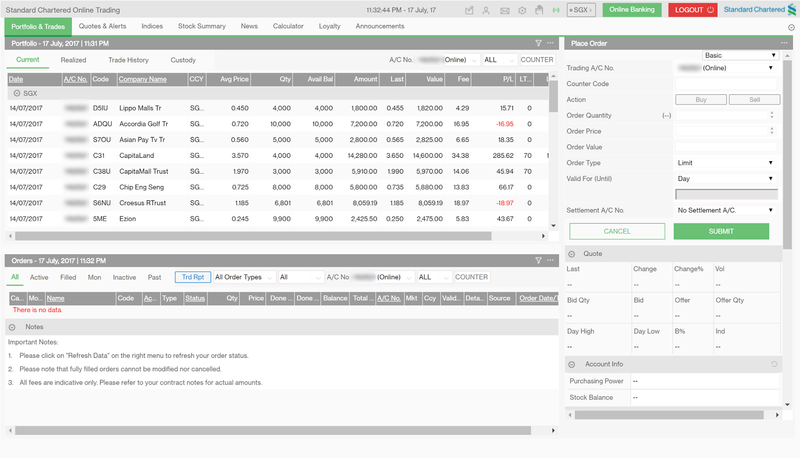 However, this time round I managed to squeeze out some money and initiated a small position (5,000 shares at $0.375). Once I successfully sell Wee Hur, will proceed to buy more OKP. KPO showing some support to OKP! lol. They are a result of technology disrupting the existing market. An example would be Uber/Grab disrupting the taxi industry, leaving taxi go unhired and ComfortDelGro share price to fall (near 52 week low). They allow the general public/retail investors to diversify and manage their portfolio according to one's risk level. Such services were only available to the wealthy in the past. 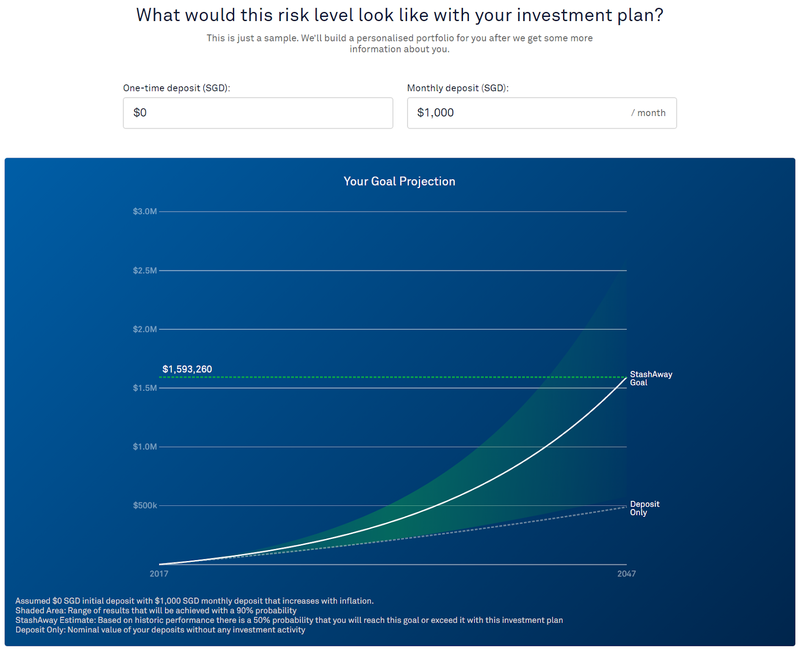 A traditional financial advisor will be "You want to invest $100 per month?! Dun waste my time. I earn more than $100 per hour!". 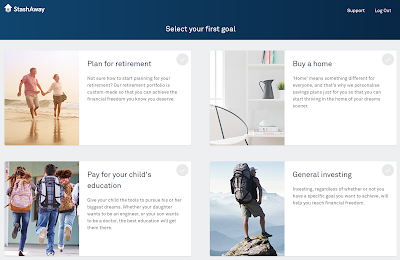 For the proper definition/better explanation, read this - Robo-Advisor. This concept is not new and has been in the United States for many years. 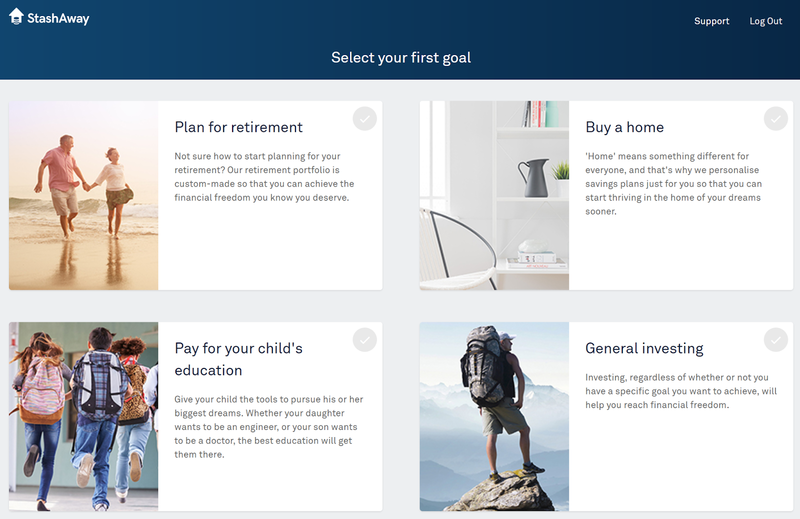 One of the biggest robo-advisor, Betterment has an AUM (Assets Under Management) of US$9 billion! Being a regular IT guy who is into investing, KPO was always looking at envy and wondering why there isn't one in Singapore. So when the news came that Singapore will finally be having one, I immediately signed up for it and was on the waitlist for months (both StashAway and Smartly). Last week, I saw Finance Smiths blogged about setting up his wife account and I was wondering when will I get the invite. Today, when I was checking my email, turns out it went into my Junk folder! OMG! I was actually invited on the 11th July! Check your "Junk" folder if you are on the waitlist too! I moved it out of my Junk folder and proceed to set up an account. After answering a few questions, I was then asked to select my first goal. I have yet to select one properly because I plan to discuss this with CZM and see if we should automate the investment component of KPO Fund using StashAway. You can read "Managing Finances As A Couple" to find out more about KPO Fund. However, I can already imagine how CZM will behave. Whenever I show her investment/finance related article or have any money related discussion, she will lie on the bed and pretend she is falling asleep. lol. I was playing with all 4 goals and found the "General Investing" goal to be pretty interesting. 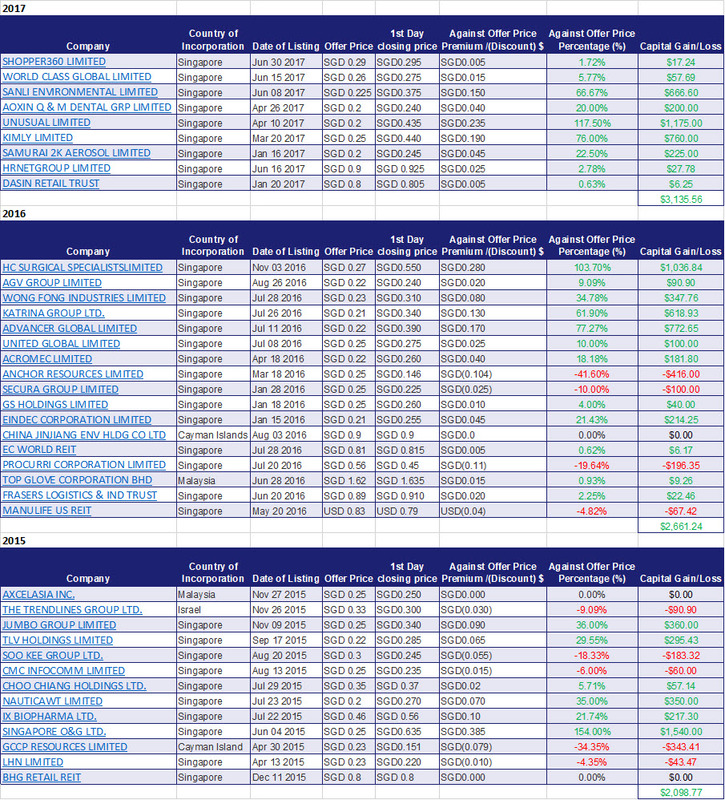 One can choose from 28 different risk levels! You read that right, there are 28 levels! You will definitely be able to find one that suits you or maybe not. Personally, I feel that this is slightly overkilled. A regular investor would not know the difference among those asset type and which would be more suitable to them. I feel that people will generally choose these risk levels - 1, 14/15 or 28. Once you have selected your goal, you will need to setup your account by providing various personal information, etc. 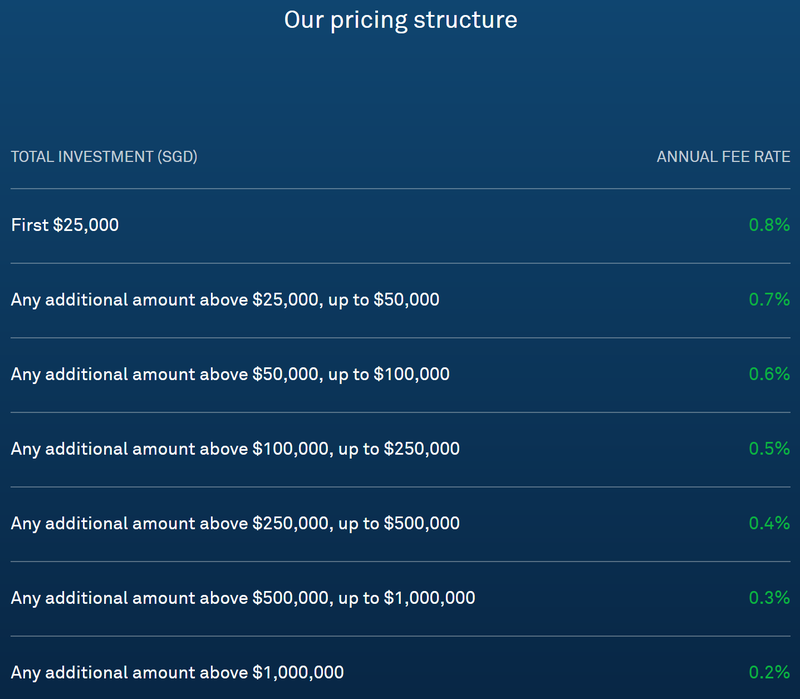 Robo-advisor charges differently as compared to regular investment. Instead of charging commission, they charge an annual fee on a monthly basis. The bigger your investment, the lesser the annual fee rate. 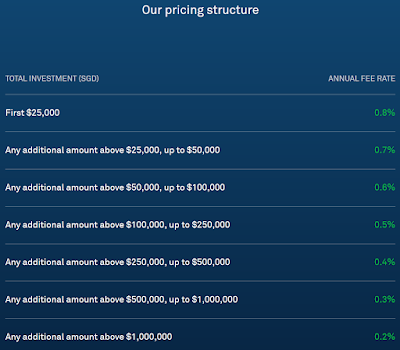 You can refer to here for their pricing structure. 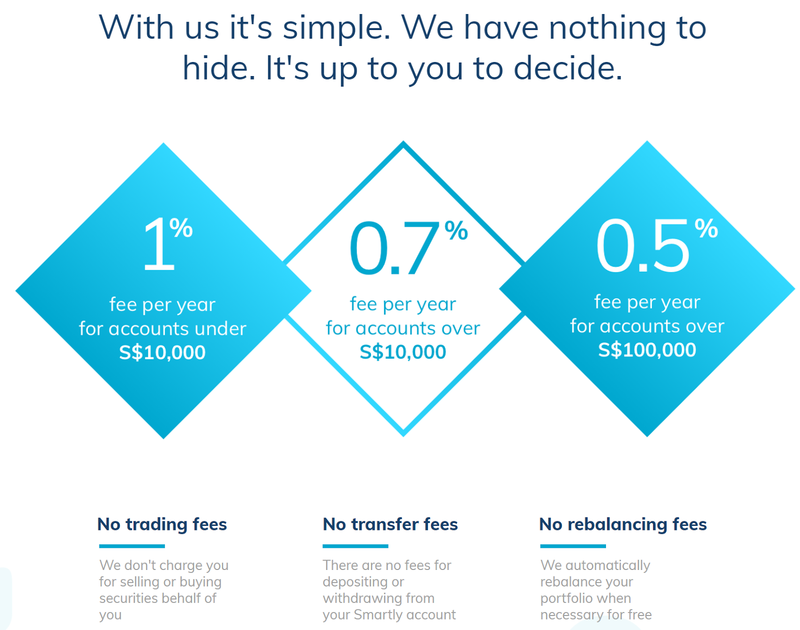 Comparing it against Smartly, StashAway has a lower fee. 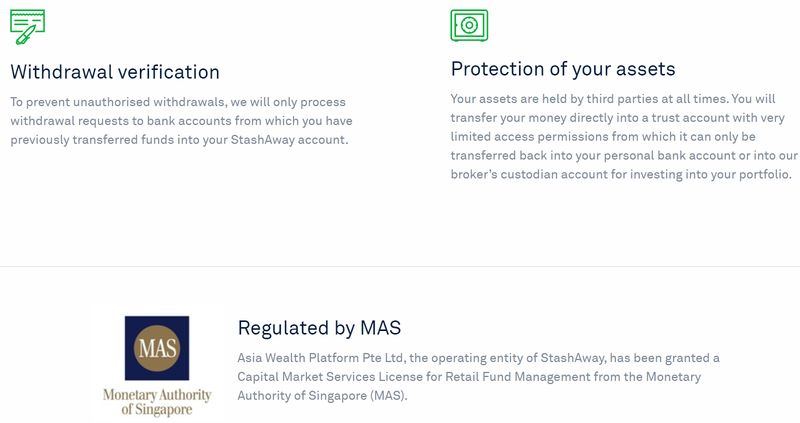 On a side note, StashAway sounds cooler too, as though KPO has hidden a lot of money as compared to Smartly. Smartly sounds like a tuition centre I should send my children to in the future. Just kidding, I will most probably stick with StashAway because it has a lower annual fee. What I like about it is that the robo/algorithm will rebalance your portfolio on a daily basis based on your risk level. Rebalancing of a portfolio is both time-consuming and expensive (commission) if one were to do it himself. Furthermore, StashAway has the concept of fractional shares which means that every single cent is being invested (make all your money work for you). The thing which I dislike is there will be foreign exchange risk because your money will first be converted to USD. 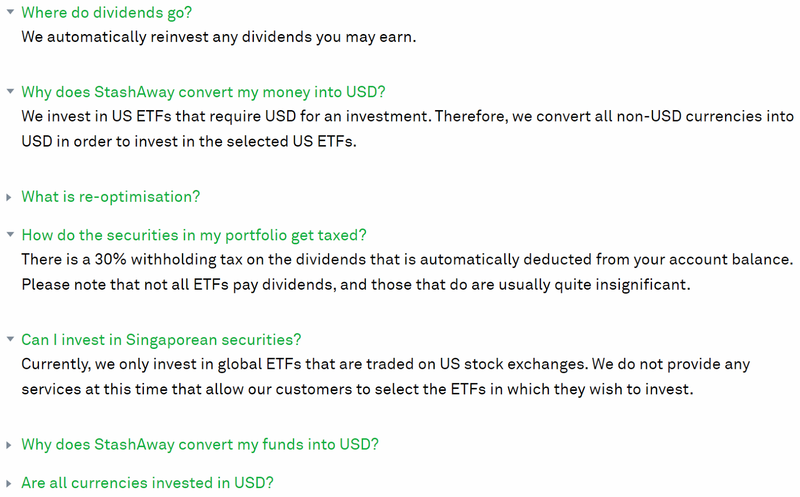 However, this is necessary as all investments are based on low-cost US ETF. Not to mention that the US also has a 30% withholding tax on dividends. On the bright side, dividends will automatically be reinvested (not an issue since we can get fractional shares). Last but not least, one may wonder how safe is it to leave my money with them or a robot. lol. 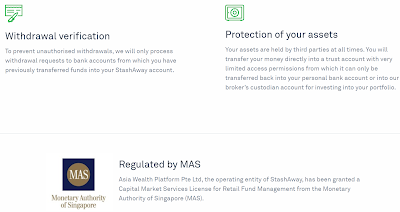 The answer is very safe since they have obtained a license (Capital Market Services License) and will be regulated by MAS (Monetary Authority of Singapore). I found the below information on MASNET. They are legit. If the contact number +65 6248 0889 listed on StashAway doesn't work, try calling the mobile number below? Maybe the CEO will attend to you personally. lol. More questions? Read their very comprehensive FAQ here. Shall update you guys again once I discuss with CZM. Thanks for reading! 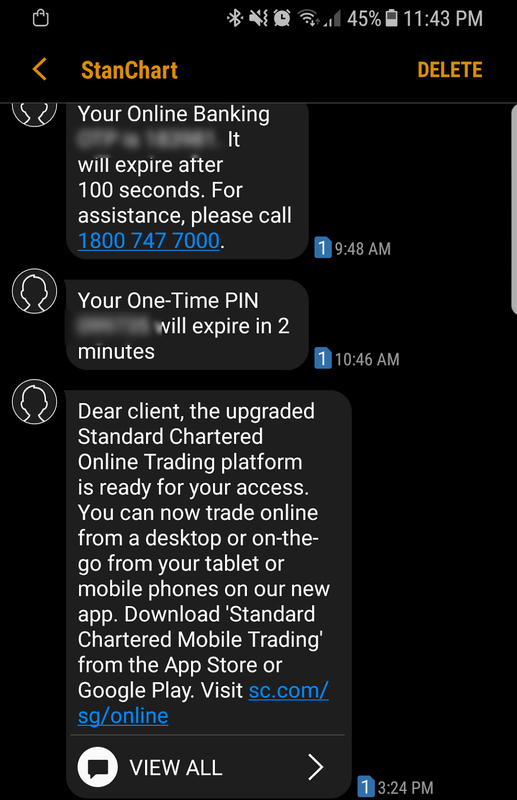 I received an SMS from Standard Chartered Bank (SCB) on 11th July stating that they will be upgrading their Online Trading platform. That was a piece of good news and I was really looking forward to it. Everyone knows that SCB apart from being cheap (lowest/no minimum commission), their trading platform has the worst user interface (it feels as though you have travel 10 years back in time whenever you use it, really hard to come by such website nowadays) and there is no mobile application! Being a KPO, I tell myself, you get what you pay for (一分钱，一分货). Cannot complain when they are offering the lowest commission in the market BUT not anymore? 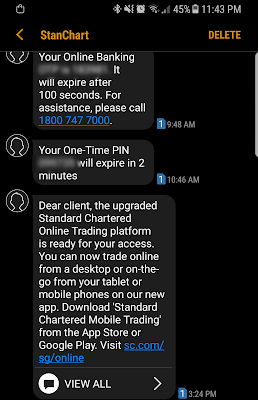 Today (17th July), I received another SMS from them stating that the platform has been upgraded and a mobile application can be downloaded from the respective app store! I was also alerted by one of the readers (save4arainyday88) on the same day. When I log in to it, I was stunned! At one glance, it has become so beautiful and yet complicated! There are 3 widgets in this tab (Portfolio, Place Order and Orders). 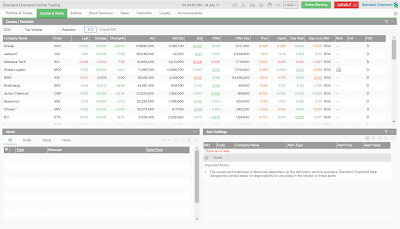 I was extremely interested in the Portfolio widget as it seems that they are FINALLY showing PnL for your stocks. Once I looked closely, the PnL is not accurate at all >.<" Given that this is newly implemented, I will give them some time to fix. 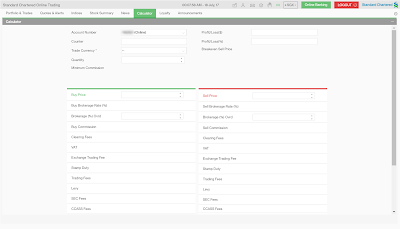 There are other fields such as your average price of the stock (which is wrong too), the commission fee, etc. There is also a disclaimer/notes explaining what the respective fields are. Within the widget, you can also access your Realized transaction (mine is empty which is obviously wrong too!) and Trade History. Hopefully, the new users would not have this issue? 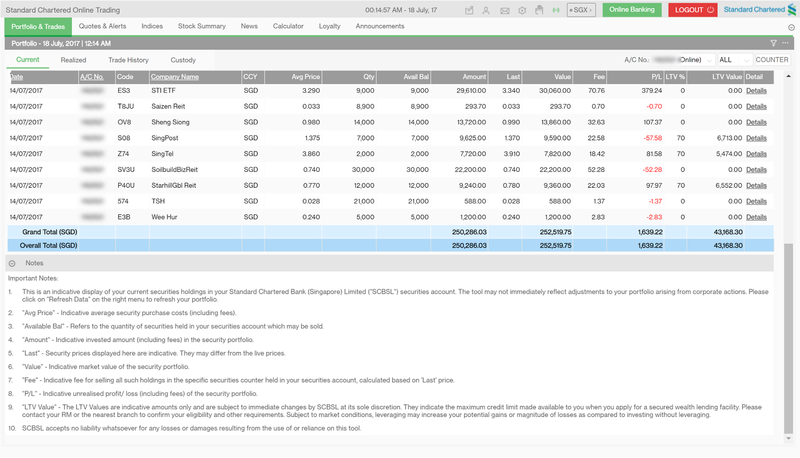 This is an indicative display of your current securities holdings in your Standard Chartered Bank (Singapore) Limited ("SCBSL") securities account. The tool may not immediately reflect adjustments to your portfolio arising from corporate actions. Please click on "Refresh Data" on the right menu to refresh your portfolio. "Avg Price" - Indicative average security purchase costs (including fees). "Available Bal" - Refers to the quantity of securities held in your securities account which may be sold. "Amount" - Indicative invested amount (including fees) in the security portfolio. "Last" - Security prices displayed here are indicative. They may differ from the live prices. "Value" - Indicative market value of the security portfolio. 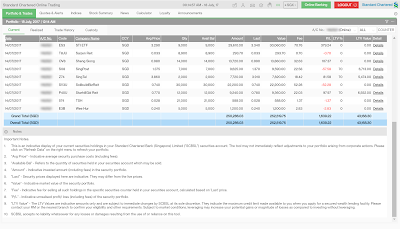 "Fee" - Indicative fee for selling all such holdings in the specific securities counter held in your securities account, calculated based on 'Last' price. "P/L" - Indicative unrealised profit/ loss (including fees) of the security portfolio. "LTV Value" - The LTV Values are indicative amounts only and are subject to immediate changes by SCBSL at its sole discretion. They indicate the maximum credit limit made available to you when you apply for a secured wealth lending facility. Please contact your RM or the nearest branch to confirm your eligibility and other requirements. Subject to market conditions, leveraging may increase your potential gains or magnitude of losses as compared to investing without leveraging. SCBSL accepts no liability whatsoever for any losses or damages resulting from the use of or reliance on this tool. Having the Place Order widget next to it is going to be helpful too because one can now easily reference and confirm the stock code you want to buy/sell and the bid/ask price is correct. Previously, the order page is on a separate page and I always worry that I will key in the wrong information. lol. 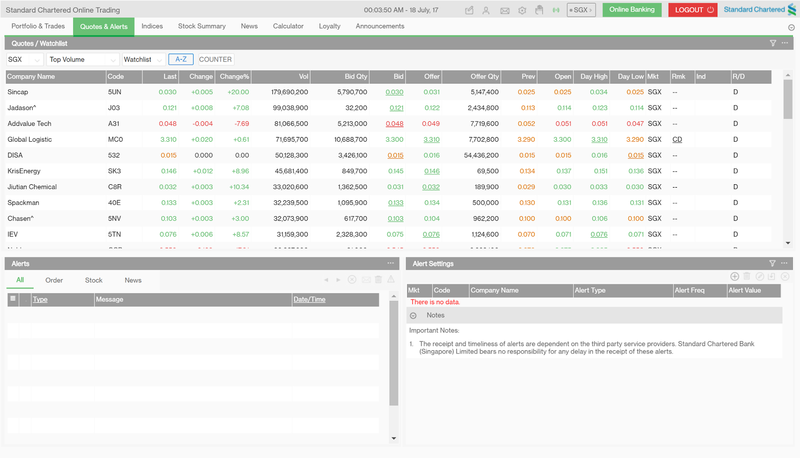 In the tab, there are 3 widgets too (Quotes/Watchlist, Alerts and Alert Settings). 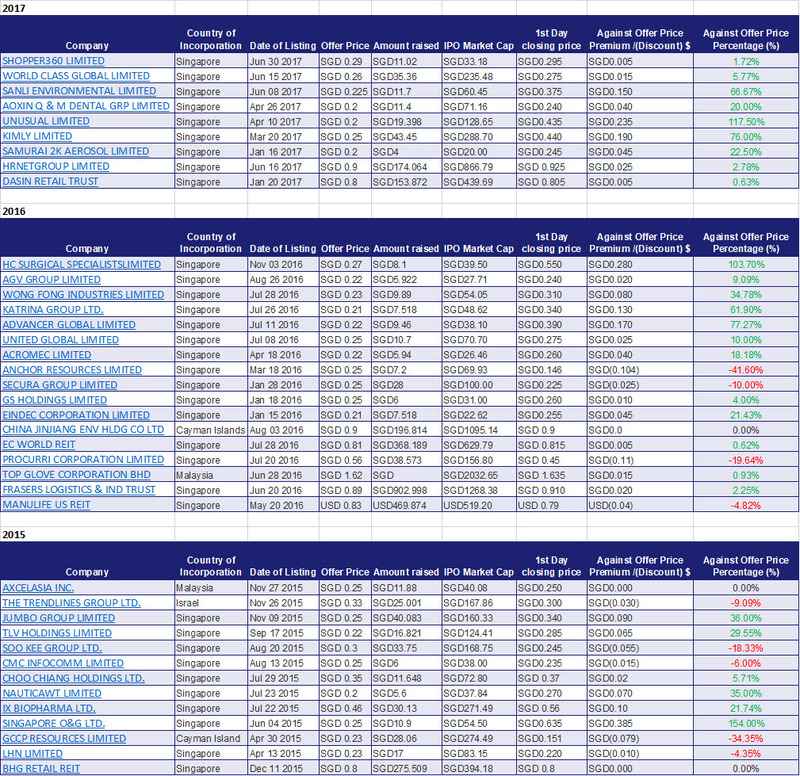 Quotes/Watchlist is where you can apply filter such as "Top Volumes", "Top Gainers", etc and scan for stocks. 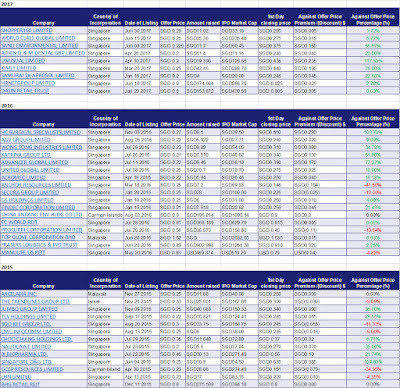 You can also have up to 10 watchlists as compared to 5 previously but wait a minute, my previous watchlists are gone!! SCBBBBB!!!!! It seems that you can now configure various alerts when a particular stock hits your ideal price (I have yet to give that a try, have been using other mobile apps to do that). 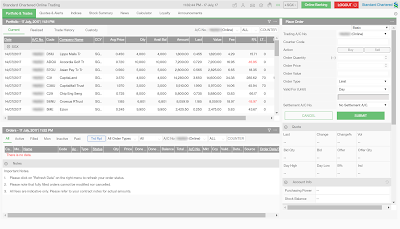 This tab provides access to the indices around the world as well as an ETF/ETN/Funds quick filter. 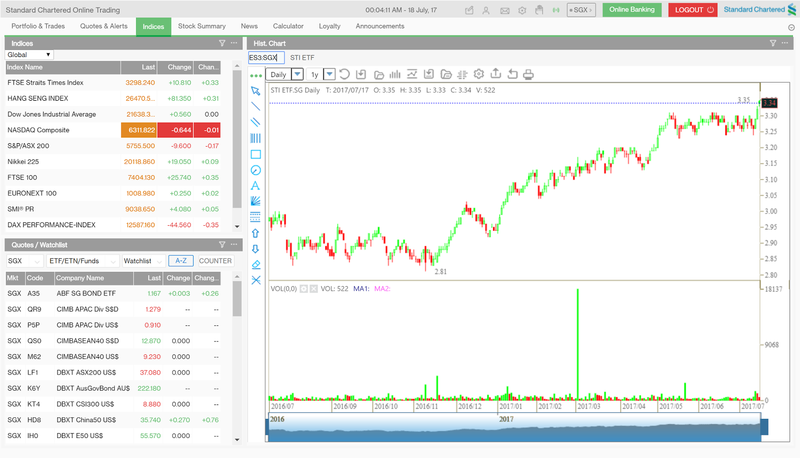 Another cool feature is that one can now draw/look at charts in the platform itself - the perfect tool for the chartists/TA guys! 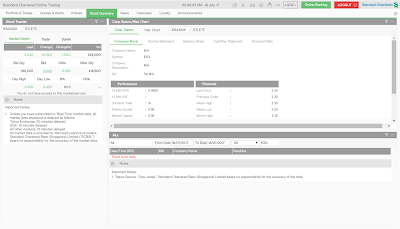 Stock Summary provides you with information such as Market Depth (do note that it is delayed) and financial statements (Income, Balance and Cashflow). 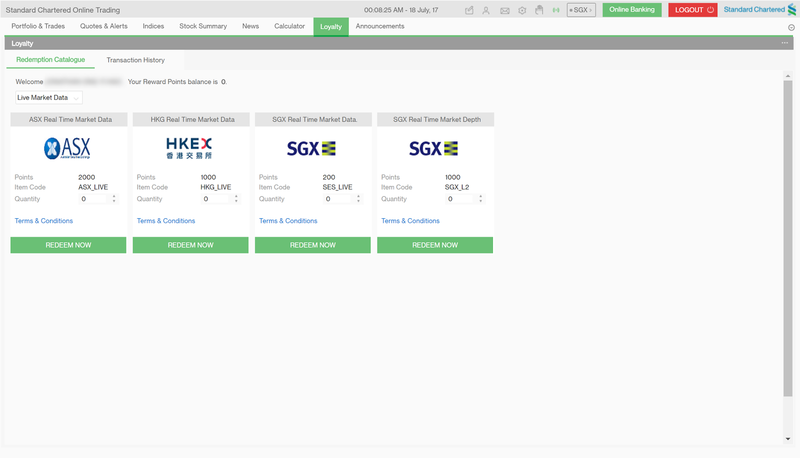 I have yet to look at it in detail but I am guessing it is pretty similar to what SGX StockFacts is providing. News is quite self-explanatory. 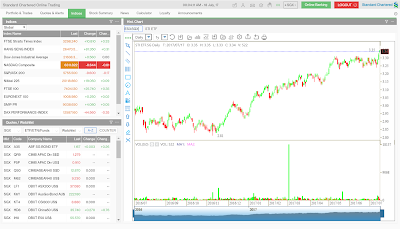 You will be able to filter based on the type of news, the market or even a particular stock. I believe this was present in the previous platform but I hardly use it. A calculator to compute your commission fee, breakeven sell price, etc. Nothing fascinating. This is something new! SCB has come up with a loyalty program which allows one to exchange the reward points for real time market data (some brokers provide it for free while others provide it for a fee). 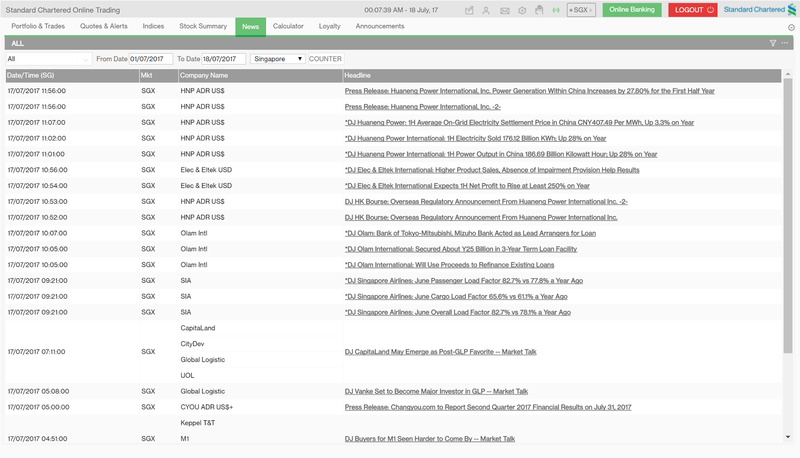 Does one need real time market data? I guess it depends on the usage, I have been using SCB for at 3/4 years and have never really found it an issue since I do not trade in and out of the market. Unfortunately, I could not find any additional information on how the reward points will be awarded (number of transactions or amount transacted? Nobody knows). Update on 18th July: Thanks to save4arainyday88 again! It seems I have missed the announcement! They are running an iPad promotion/giveaway and all you need to do is download and login to the mobile trading application. The promotion is from 17th July to 25th July 2017 and is limited to the first 20,000 participating users! You can refer to the T&C here. Last but not least, if you were to head over to SCB Online Trading site, you will be able to see that they have also introduced award-winning mobile trading applications. Hmm. The mobile trading application is new and already gotten an award? That's impressive! Ownself give ownself award?? lol. KPO knows that SCB is referring to the other banking applications but is being mean to SCB for screwing up his PnL and watchlists. With this upgrade in their trading platform, SCB is definitely up-ing its game to remain more competitive. 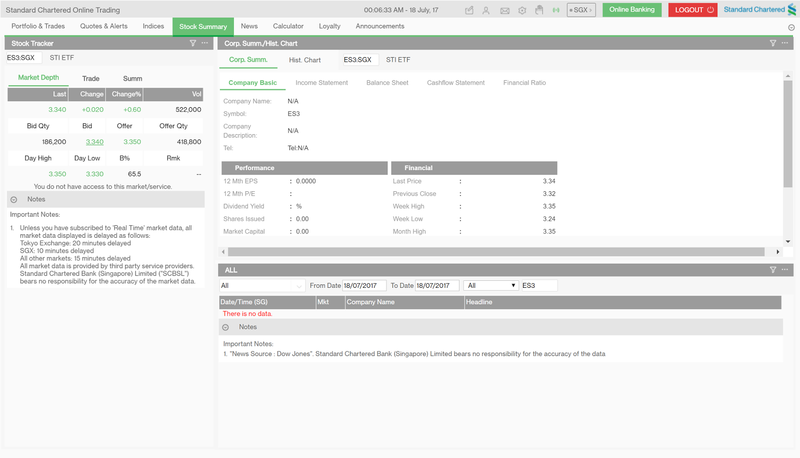 Even before SCB introduced the $10 minimum commission, there were already negative news such as "Standard Chartered to close Equities Business Globally" and people were speculating that SCB will eventually close the retail online trading business as well but it seems that SCB has lived up to their very reassuring slogan "Here for good". lol. At the end of the day, always do your own research to determine which brokerage fits your needs/wants. 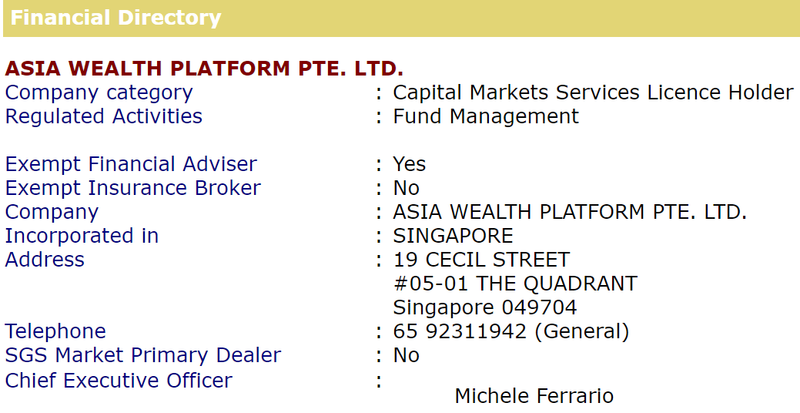 For example, "I want my stocks to be in CDP" then SCB is definitely not for you as it is a custodian account. 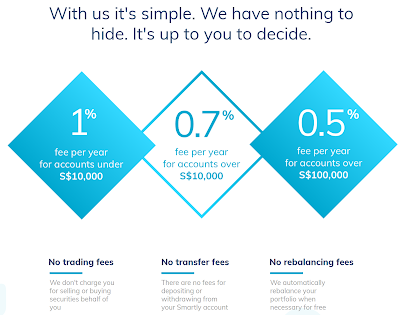 Do beware of hidden charges such as platform fee (New Trading Platform in SGX, iFast FSMOne - Is it any good? 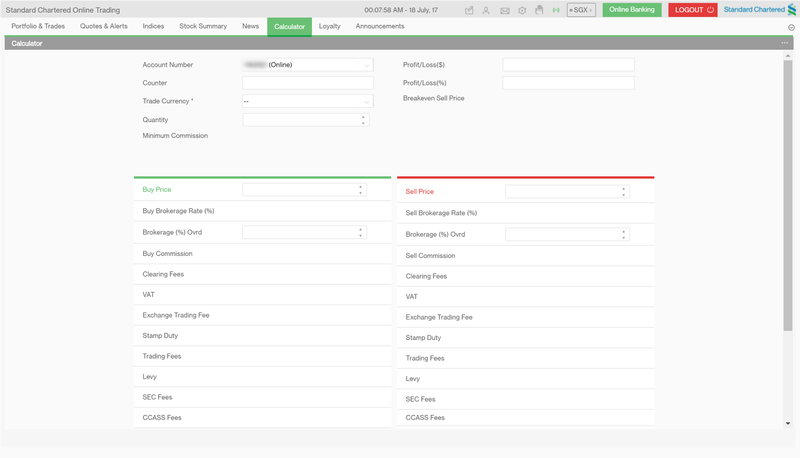 ), custodian fee, dividend handling fee, etc. 3. 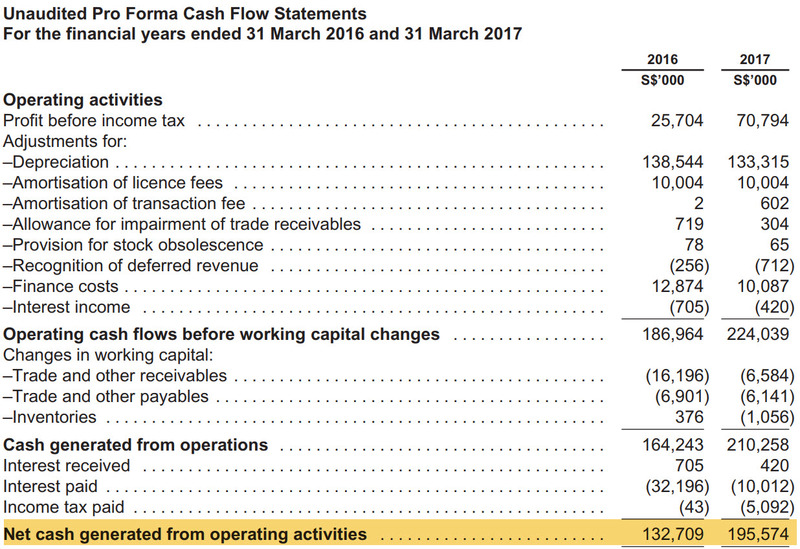 Investment Moat - The NetLink Trust IPO – A Good 5% Dividend Yield Stock to Hold? So the question is will KPO go for the IPO? Finally took some time to look at the prospectus and highlight sheet. I will be ignoring those forecast/projected numbers for 2018 and 2019 as they will always paint a bright and happy future. Who will forecast their business to lose money?? lol. We know that the offer price is at $0.81 with total net assets of $3,070,815,000. Assuming the over-allocation option is exercised in full (3,021,456,001 units), the NAV will be $1.02. If there is no over-allocation, there will be 2,898,000,001 units instead and the NAV will be $1.06. That is about 20% discount, what a good deal?! 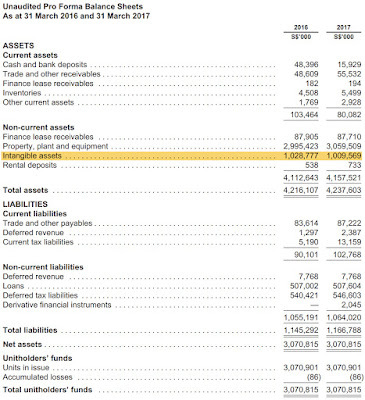 Unfortunately, if you were to look at its balance sheets, you can see $1,009,569,000 of intangible assets. To put it in simple terms, that is $1 billion of nothing. lol. KPO is very practical and does not like intangible assets. Digging deeper into the prospectus, one will be able to find the breakdown for the intangible assets which consists of 2 items - Licence and Goodwill. Such a high goodwill?! Let me provide you a proper definition taken from Investopedia - Goodwill is an intangible asset that arises as a result of the acquisition of one company by another for a premium value. The value of a company’s brand name, solid customer base, good customer relations, good employee relations and any patents or proprietary technology represent goodwill. - Investopedia - Goodwill vs Other Intangible Assets: What's the Difference? Personally, I like to be more conservative in calculating the NAV. Hence, removing the goodwill from the total net asset will result in the NAV dropping significantly to $0.79 or $0.75 if the over-allocation option is exercised. If they were to offer at the higher end of the indicative range ($0.80 to $0.93), I would not have participated in the IPO. It seems that the biggest winner is probably Singtel and the banks (bookrunners/underwriters). 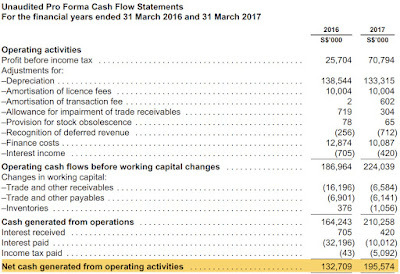 Paying a little premium for a business with increasing positive operating cash flow year on year, operating in a monopoly market with a dividend yield of around 5.73% seems reasonable. KPO shall apply small small for 20,000 units and hold for 23 years. You are reading it right, I am referring to PayNow and not DBS PayLah. Remember the days when you make a fund transfer to your friend and it takes a few days before it appears in your friend's bank account? Then came FAST which stands for Fast And Secure Transfers where the fund transfer/money magically appears immediately in your friend's bank account. PayNow uses the same magic except it allows you to make fund transfer simply by using the other person mobile number or NRIC on your ibanking site/application. This removes the hassle of going through the tedious process of adding "New Payee", double checking and triple checking to ensure that the account number you entered is correct before taking out your OTP device to verify and confirm the addition of 1 new payee (You have yet to make the fund transfer. lol). I guess this is definitely a small step towards Singapore becoming a Smart Nation and going cashless. I am still pretty amazed at how we survived in Iceland without cash, just credit cards. To get started, you need to register your mobile number with anyone of the participating banks. Note that you can only register with ONE of them. 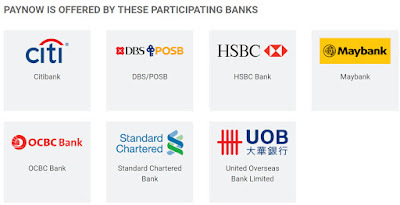 Since you can only register with one of them, the banks will be competing for customers by offering sign up promotion! DBS - Register for PayNow and win a red iPhone* 7 Plus! I am amazed at how I could not find a single landing page on PayNow for Citi. Definitely not holding up to their slogan "Citi Never Sleeps", I think the whole marketing department must be sleeping! Update: First 5,000 eligible customers + make a minimum of $10 transfer. By now should be gone as one of the readers pointed out where a promotional email was sent to existing customers. 30 winners will be chosen from the eligible customers. KPO not very lucky so will probably give this a miss. First 3,000 eligible customers. Almost no chance but better than nothing. 20 winners weekly for 6 weeks: $500. I shall get CZM to register for this. KPO not very lucky so will probably give this a miss. First 5,000 eligible customers for the 1st $5. Subsequent $5 requires you to spend at least $20 using UOB MyKey. PayNow went live at 8 am 10th July 2017. So I think you should stand a pretty good chance with SCB if you are a customer. Otherwise, go for the OCBC lucky draw and win BIG! KPO recently met up with a group of friends. 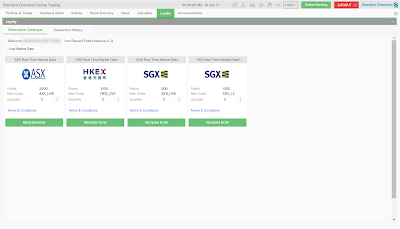 We are all working for different companies now and 1 of them works in SGX. 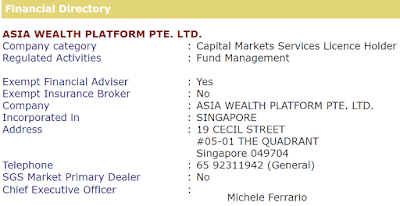 I laughed at him claiming that he is one of the directors for those companies cause I have seen him appearing at IPO events, taking photos, etc on the SGX FB page - SGX | My Gateway. He then made an interesting comment stating that all IPO will make money (sell on the opening day). How true is it? At one glance you can see more green color which represents a positive return if you were to sell at/near the closing price. Assuming if I were to invest $1,000 in each IPO and sell it on the first day, I would indeed be sitting on a huge profit! Now let's assume that I invest in $1,000 in each IPO, forget about them and hold until today, what would be my return? I should make more money right?? 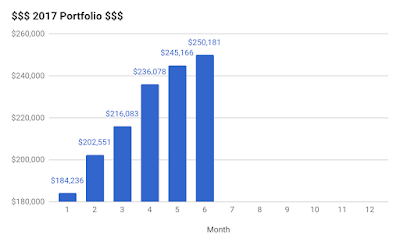 The total return is +15.38% ($5,981.57 from $39,000) after 3 years. The above calculations are simplified as dividends are not taken into account. 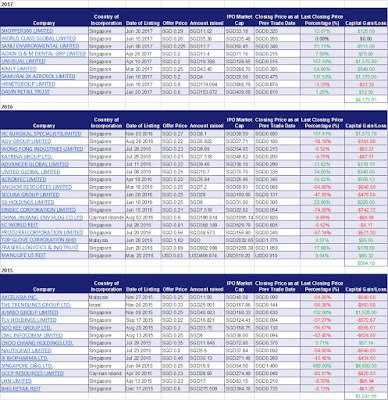 If you looked carefully, the returns are positive due to exceptional huge return by a few stocks. 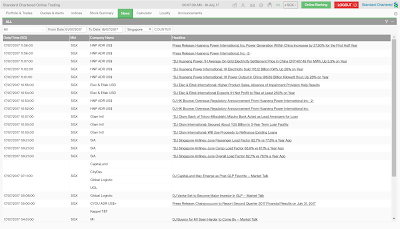 2015 IPOs - Jumbo returns 152% while Singapore O&G return 460% till date! 2016 IPOs - Acromec returns 57% and HC Surgical returns 57%! Moral of the article: Buy/Participate in all the IPOs and sell on its opening day! Trust the guy working in SGX! Just kidding, do note that past performance is not a good indication of how the future performance will be. The above strategy will only work IF you can participate in all IPO but the chances of getting it seem so low that you have a higher chance applying for BTO. Hope you guys enjoy this! On a side note, I have changed the blog name and URL to include CZM since she *might* be coming back. Our portfolio grew by 2.05% this month purely by capital gain to $250,181! We did not put in any money and still collected dividends! There were many good opportunities to pump in more money this month (such as Thai Beverage when it was around $0.85 and QAF at $1.25) but KPO got banned (indirectly) by CZM. Seeing how I have been investing my money almost every month and having less than $5k deposit in my bank account is worrying the more risk averse CZM. In view of the upcoming large expenses, wedding next year and our BTO should be completed by 2019 Q2, CZM said that we should top up $10k each to the KPO Expense Fund by the end of the year. You can read this article if you do not know what is KPO Expense Fund. 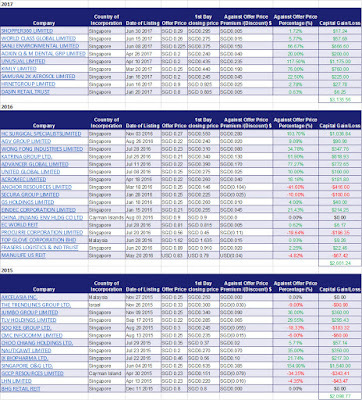 If I cannot do that, I will have to liquidate $20k of my portfolio to top it up @_@"
June was also a very good month for those that invested/speculated in cryptocurrency. All of them hit an all time high around mid-June with Bitcoin breaking $4k and Ethereum breaking $500. The last time I was looking at them, Bitcoin was around $1k and Ethereum was around $10+. That is a ridiculous amount of return! KPO has been reading up a lot recently and will be sharing his views. Stay tuned! KPO will be sharing another tip to earn $$$ easily! Before you proceed further, I am sorry but this is for Android users only. Apple users can continue to read and share this with your Android friends. Hahahaha. 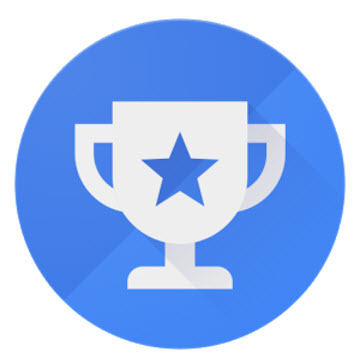 Introducing Google Opinion Rewards! You still how you used to earn money by doing survey back in school/university? The idea is exactly the same. Google pays you in terms of Google Play Credit whenever you complete a survey. The survey can be completed in seconds before you even know it! Not those kind where your friend asks for your help to do his 10 minutes survey which actually took you 30 minutes. You may be thinking that you will be selling your information/data away. The answer is yes and no, do you really still think Google does not know everything?! lol. Once in a while, you will get certain survey where Google will state explicitly that they will be using your information and if you allow, you will get more credits too. As you can see, I have earned $7.56 till date and spent some of those credits. If you look closely, you can see that I have a notification from Magikarp Jump the reward I am getting is not at a regular interval. That is the interesting thing about it, you do not get a survey on daily/hourly basis. They do not have surveys waiting for you to do. Instead, you will be waiting for their survey (at least this is my case)! The app will randomly notify you whenever it has a survey. Nowadays, if I receive a notification from Google Opinion Rewards vs a WhatsApp notification from CZM, my priority is Google Opinion Rewards because it is that rare. Hahahaha. If you are wondering, there is no referral program. KPO is simply sharing another money saving/generating tip!